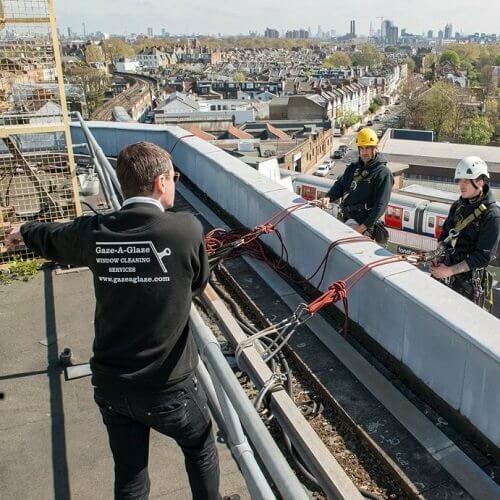 The safety of our employees and the public is our top priority and we pride ourselves on being scrupulous in our approach to the Health & Safety of our work. 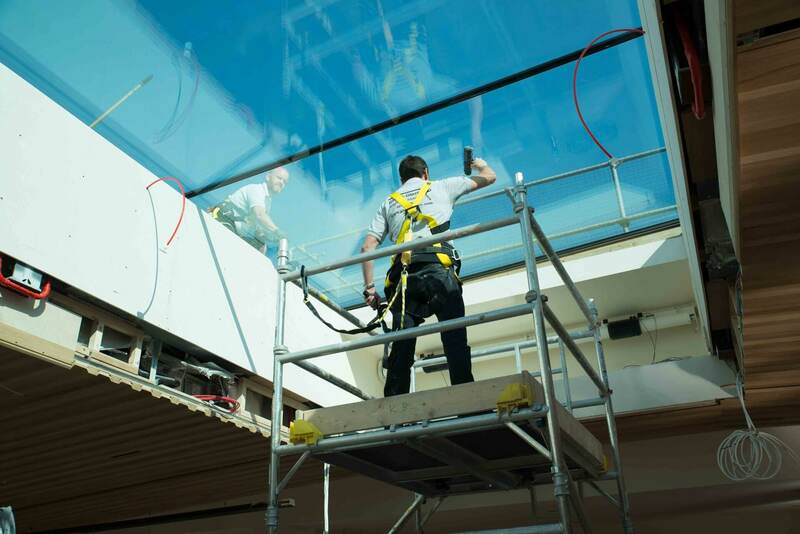 We have achieved many accreditations that ensure we provide a safe service. 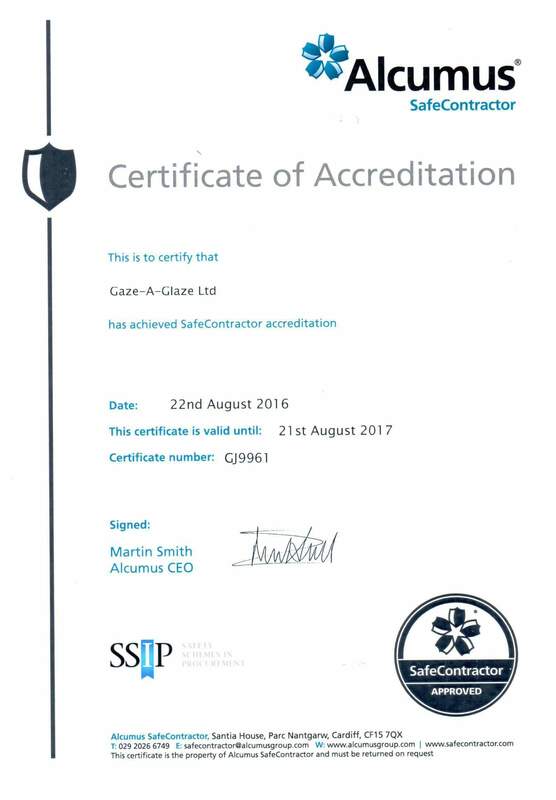 We have held the Safe Contractor accreditation since 2009 and Contractors Health & Safety (CHAS) since 2010 and always comply with these standards to ensure all Health & Safety is being handled correctly. We have retained the consultancy support of Peninsula Business Services Ltd to ensure that Health & Safety at work legislation is complied with and all our legal requirements are in accordance with Employment Legislation. We have achieved the ISO 9001 certification since 2011, which is the certified Quality Management System (QMS) for organisations who want to prove their ability to consistently provide their customers with good quality products and services. Certified since 2009 - private sector safety standard - a H&S audit service to ensure H&S is being handled correctly and sufficiently. 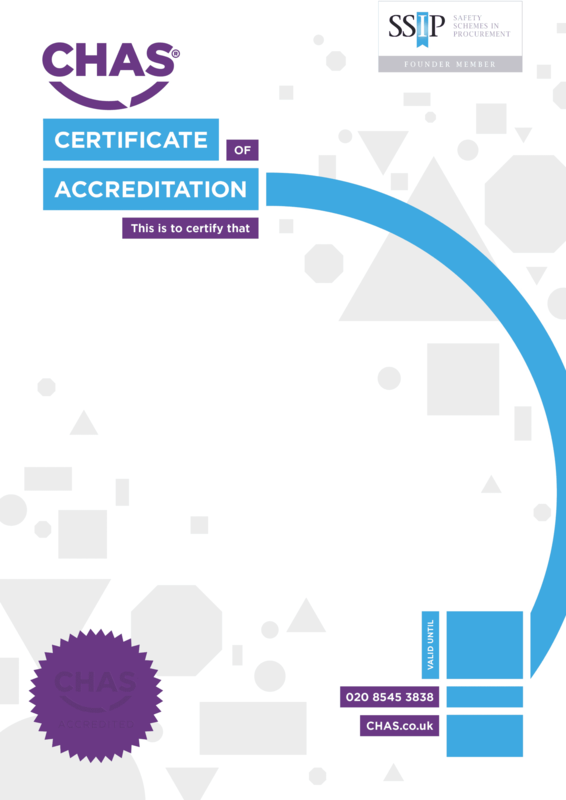 Certified since 2010 - The government and local council recognised accreditation for safety - assessed on H&S policy statement, organisation for H&S and specific H&S arrangements to an acceptable standard. 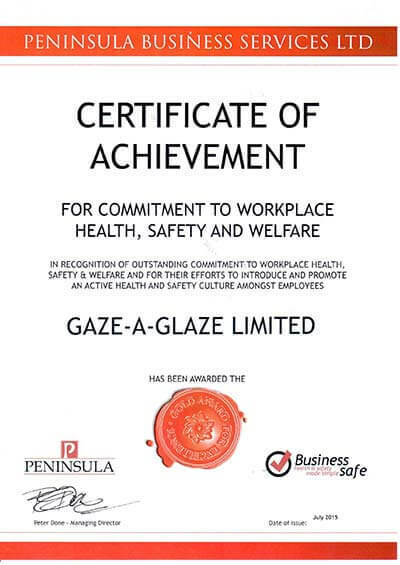 Consultancy support to ensure compliance with all legal requirements in respect of Employment Legislation and Health and Safety at Work - Gaze A Glaze have been awarded the Gold Award in recognition of outstanding commitment to workplace health, safety & welfare and for efforts to introduce and promote an active health and safety culture among employees. 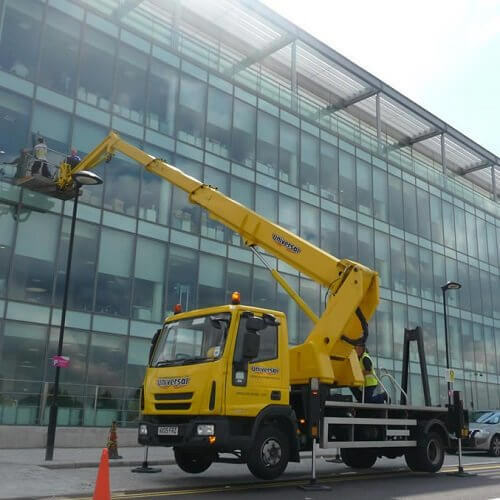 Certified since 2011 - Qualified in window cleaning services, specialising in ground level and working at height. The most recognised accreditation for quality control purposes. 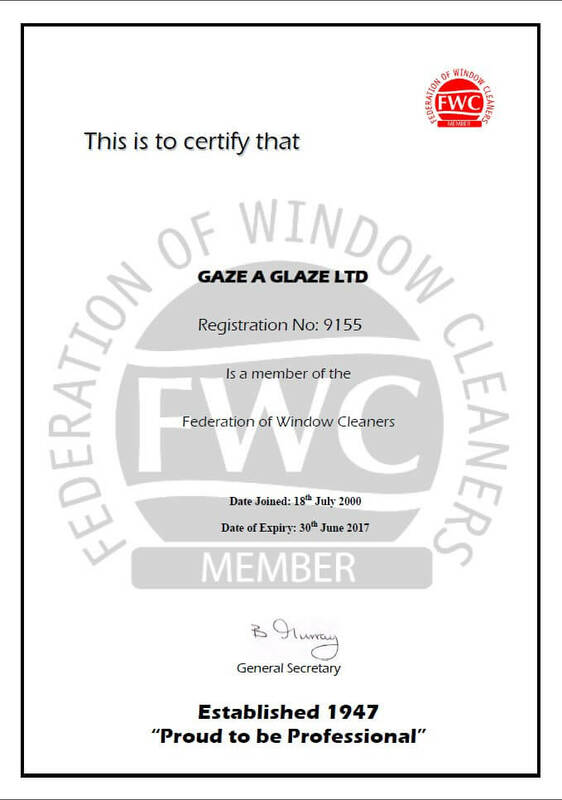 Gaze A Glaze has been member of the Federation of Window Cleaners, the professional window cleaners body, since 2000. 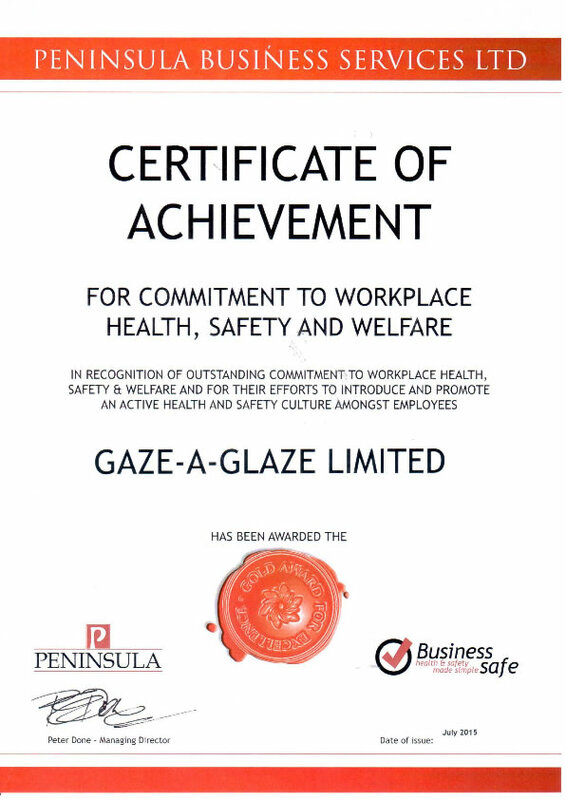 With 50 years of expertise and all relevant accreditations you can be assured that Gaze A Glaze will do a safe and high quality job.